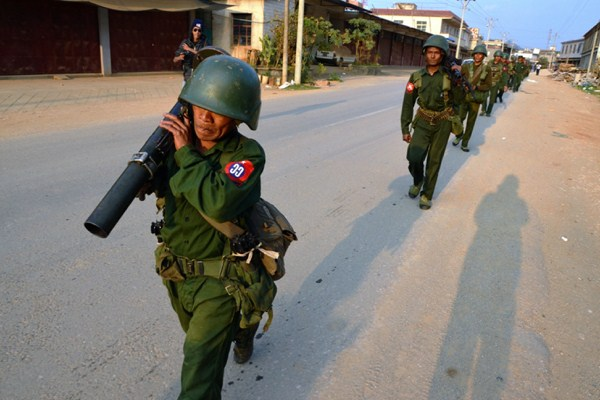 Myanmar soldiers carrying launchers on patrol in Kokang, northeastern Shan State, Feb. 17, 2015 (AP photo by Eleven Media Group). Ongoing clashes in Myanmar between ethnic Kokang rebels and government forces near the Chinese border have so far left over 160 dead. In an email interview, Jasmin Lorch, a research fellow at the German Institute of Global and Area Studies, discussed ethnic rebels in Myanmar.